Yesterday was probably one of Rihanna’s busiest and biggest days of the year. 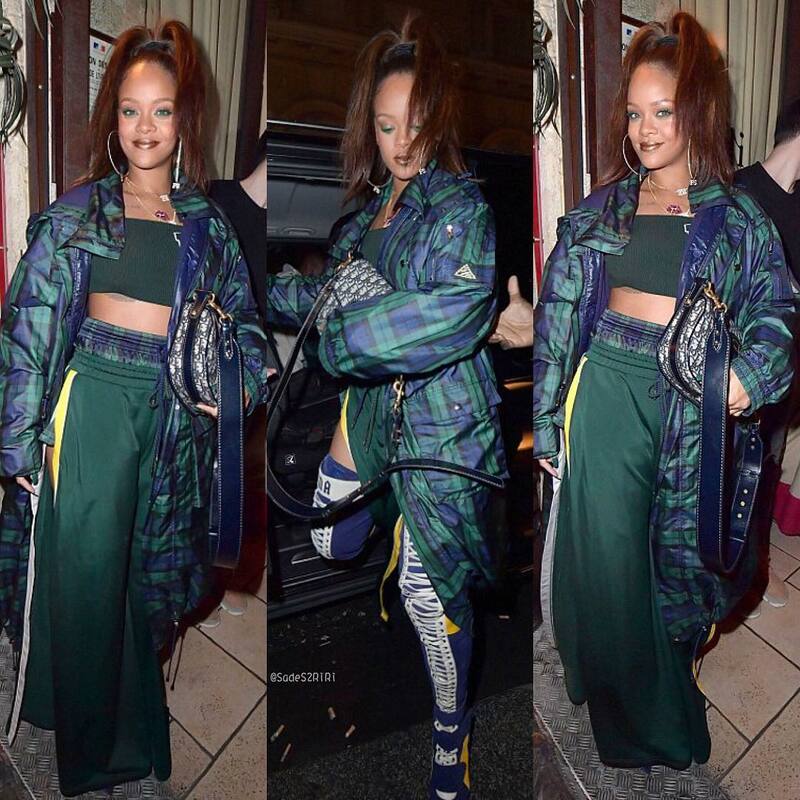 The international superstar debuted the Fall/Winter 2017 collection for her Fenty x Puma clothing line at the National Library of France. Before the show began she was spotted in a few pieces by Balenciaga. Demna Gvasalia’s designs have been her go-to since she arrived in Paris. She wore black denim to dinner a few days ago then a padded jacket and baseball cap the day before the fashion show. 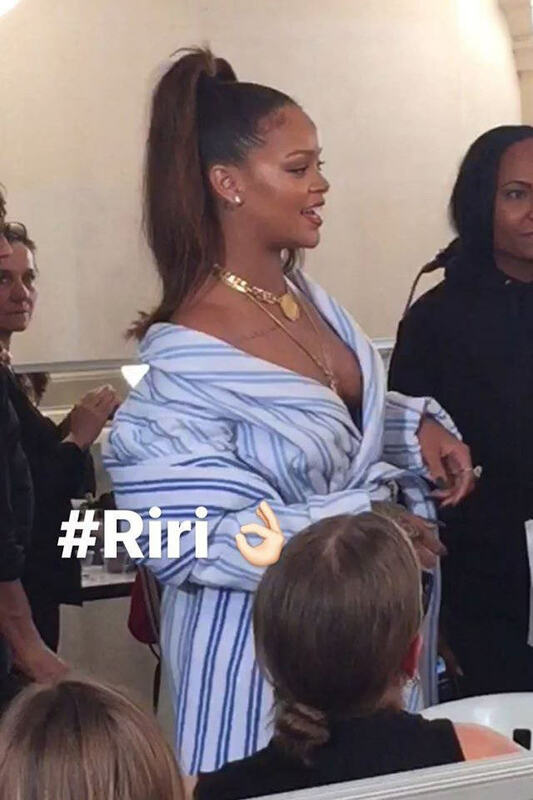 Rihanna watched the run through for the show in Balenciaga’s striped robe coat. The sold-out coat boasts pockets on the front and large cuffs. She also rocked the matching cotton scarf and it features frayed edges. Get it here for $315. These pieces are from the Resort 2017 collection. After the show Rihanna and her team had dinner to celebrate. Of course, she wore her own designs fresh off the runway and a few that weren’t included. She sported the crop top from Look 8, the boxers from Look 1 and thigh-high heeled boots from Look 32. Lynn Ban collaborated with Rihanna on the jewellery for this collection. Rihanna wore the “FS” hoop earrings, a smoking blunt necklace and a few other necklaces from the collection. Her handbag is Dior.